2 hours later in the emergency room you get to settle down and come to terms with things. You’re going to be a dad! Congrats buddy! Time to get to work. To simplify your shopping I have made the list of all lists – One list to rule them all – full of the things you will actually need, things that will be very helpful, things that are cool and you just needed an excuse to buy them, and things that will sit in the corner and collect dust. 1.) Diapers & wipes. Chances are your child will be born somewhere between 6 and 10 lbs. Coincidentally this is the exact weight range of Newborn sized diapers. 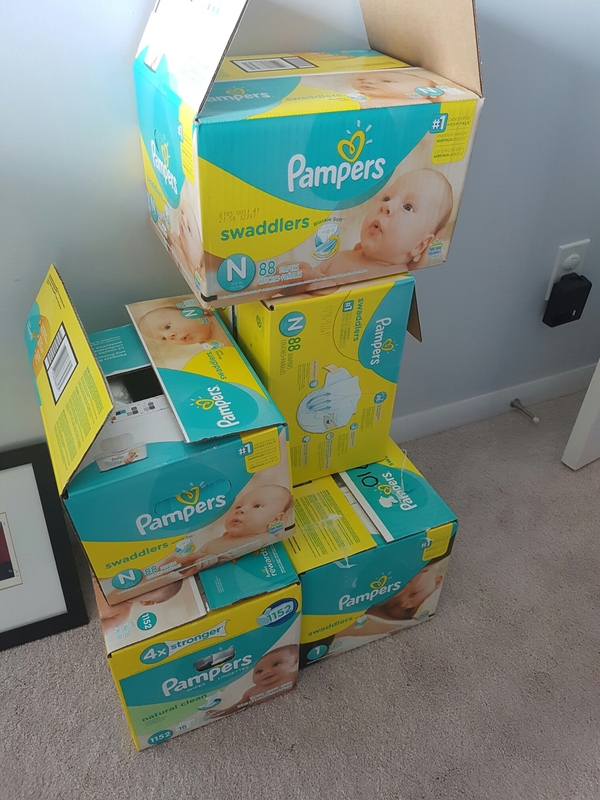 I’d suggest you buy a 32 pack so you are covered, and then go out and buy the biggest box you can find of whatever size your child fits. The first few days you can expect your child to go through about 4 diapers in a day, so no need to have 300 newborn sized ready to go. Wipes, on the other hand, aren’t sized and don’t go off. Buy the biggest box you can find. In fact, buy 2. As far as brands are concerned, We’ve tried 3 and they all seem to work just fine, and they are all priced about the same. Honestly, nothing can stop the explosive force of a newborn blowout. Cloth diapers are all the rage today. I’ve spoken with a few friends who tried the cloth diaper route, and none are impressed. It is a heavy investment up front, and you end up storing dirty rags until you do laundry. That’s fine if you have a big house with somewhere to store it, but still – gross. Also, most daycare centres won’t accept cloth diapers, so your investment will be for naught once parental leave is over. 2.) Clothes. Don’t spend too much time and money buying baby clothes. Everyone loves buying cute outfits, so you’ll be swimming in them soon enough. We picked 5 newborn sized outfits, and ended up with about 30. Initially we had to do a small load of laundry every 2 days, but now we can almost go a week (unless there is a blowout). On the subject of baby clothes – don’t believe the tags! When the Wee Baby T was born a month early he was wearing an outfit from Carter that was labeled for 3-6 months, and he was swimming in one of the newborn outfits we had for him. The only one we have found to be consistently accurate so far has been Joe Fresh. When you are shopping for outfits after your child is born, bring a onesie that fits and hold it over the one you are thinking of buying. The new one should be just a little longer and a little wider (they shrink!). 3.) Formula & bottles. We initially planned to breastfeed exclusively. The lactation consultants as the hospital said everything was fine, T was getting enough milk (even though none of us could actually see how little he was actually getting). 3 days later T spends a night on a tanning bed being pumped full of fluids. Fed is best, especially for the first few weeks. I’m a huge proponent of nursing, it’s a great way to solidify that bond between mother and child, but then offer your baby a top-up after he is finished. Best case, he refuses and you know he is full. Worst case he gulps it down and you know he is full. Just keep him sitting up for about 15 minutes after you feed him. Newborns have a tendency to let everything back up if gravity doesn’t hold it in place. 4.) Playtex Diaper Genie. When I first saw this I thought it was the biggest gimmick ever. I couldn’t have been more wrong. No smell, no worrying about the dog eating the diapers (it’s like dog crack). Just chuck the diaper in and pull the bag out when it’s full. Make sure you have a spare liner pack at all times though, by the time the “you’re running out of bags” line appears, it is too late to put it on the shopping list. 5.) Diaper bag. You’re going to want to get out of the house from time to time, and sure enough, that is exactly when your little one will need to eat, be changed, and spit up all over you. I’m still on the hunt for the perfect bag, but it is definitely a crucial component. 6.) Car seat. Most hospitals won’t let you leave unless your child is safely secured in a car seat. Why not get one that works as a stroller too? 7.) Crib. I’d suggest a travel crib for the first little while. We picked up this compact crib from Walmart for $300 so the Wee Baby T can spend his first year in the bedroom with us. At that point we have the heavy duty crib to move him to. We started out with the BILY Bassinet for about $100. It was great while he fit, but in hindsight I’d suggest against a bassinet. 8.) Baby tracking app. During the first 2 months your pediatrician will ask you to track everything – how much your child eats, poops, and sleeps. After that you will want to start sleep training and scheduling, so having a base-line trend of your child’s eating and sleeping patterns will really help. Plus, planning for when you need to buy diapers and how many bottles you are going through every day keeps your shopping in order. We use Baby Care Log. It is free for your first child, I think you need to upgrade to add a second. The adds are a little irritating, but not to the point that the app won’t work, and you can have multiple devices synced to share information so the middle of the night hand-off is much smoother. 1.) Carrier. 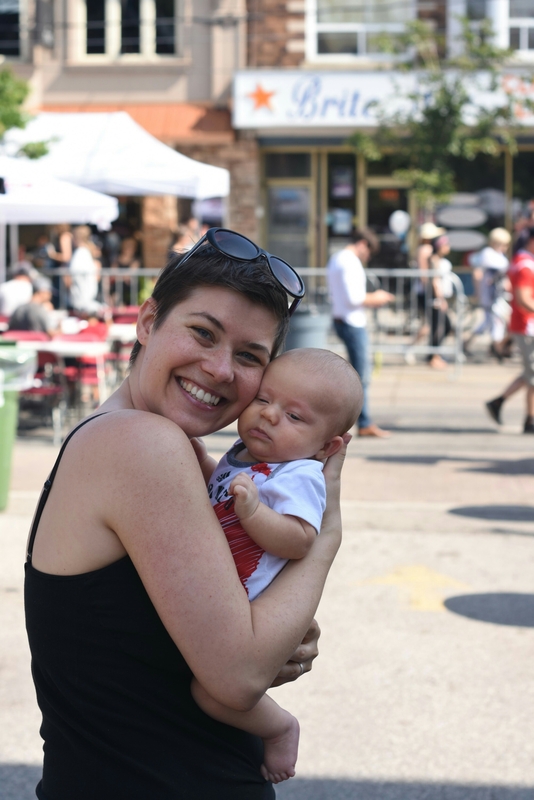 You’re going to be holding your baby a lot, partially because it isn’t safe to just leave him on the couch while you run to the washroom, but mainly because he’s adorable and you don’t want to put him down. Ever try walking the dog while holding a baby? Don’t. It’s impossible. 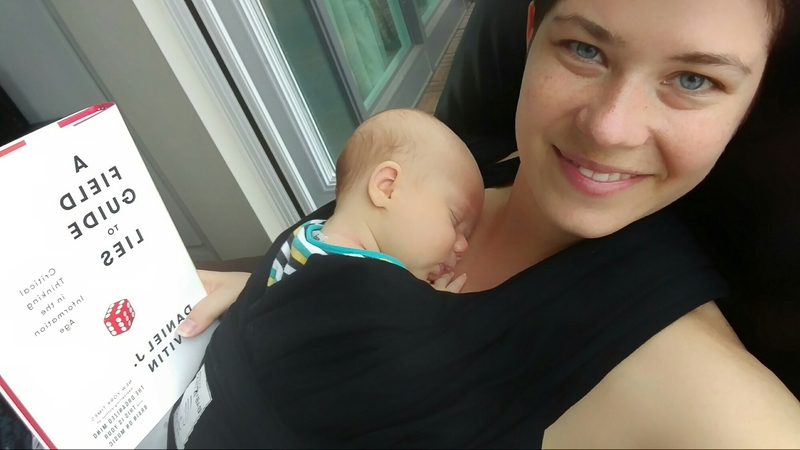 Carriers keep your baby close and your hands free. There are many different types of carriers. I prefer the structure and support of a clip carrier, my wife prefers the flexibility of a sling carrier. Many cities have a carrier library where you can check out carriers before you buy them. 2.) Breast Pump. Not directly for you, but if your baby momma can pump, you can help out with the feedings. Come up with a bottle labeling system, remember fifo (first in first out), and keep a couple of bottles ready to warm up and feed. For the pump itself, there is a huge variety of choices. I’d suggest an electric double pump if you are planning on having more than one child. It’s expensive, but it saves a LOT of time and effort, and at 3 in the morning, your partner will appreciate not having to spend 20 minutes hand pumping each side. Get the pump bra too – hands free ftw. 3.) Stroller. 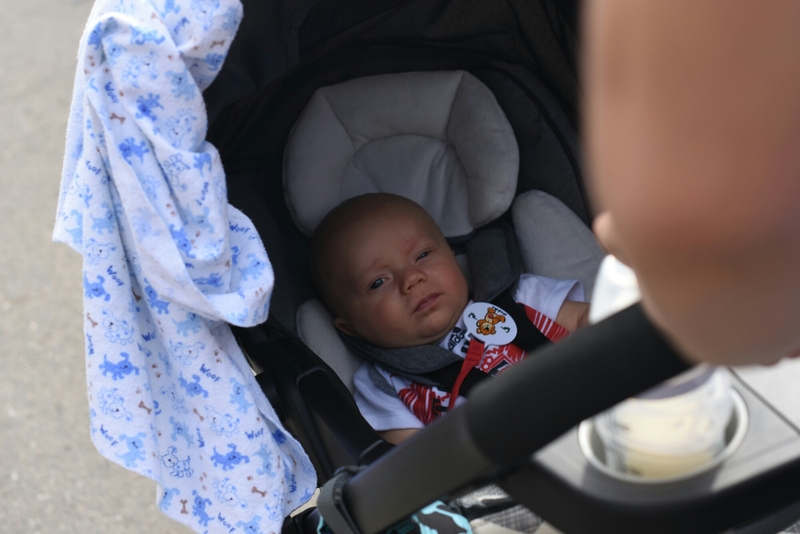 Depending on where you live, a stroller may not be as important for you – maybe you drive everywhere, perhaps you want to carry your child, what if you’re a recluse? This is a personal decision, but I would suggest that instead of spending money on a car seat and a stroller, consider a travel system which combines both. If you are worried about space this is the ideal solution. 4.) Swing. Baby swings can be great as a safe place to let your child sleep while you run around the house, but they can get expensive, and their lifetime is limited to about 3 or 4 months. Better option may be to put your little one in the crib while you have a shower. 5.) Maternity pillow. This is more for your partner. Pregnancy gets uncomfortable, so it can’t hurt to offer a little more support (both figuratively and literally) with a maternity pillow. Yes, it takes up 85% of the bed, no you can’t snuggle up like you once did, but she will get through the next 7 or 8 months much more comfortably. 2.) New tool set. That crib isn’t going to build itself! Promise to hand make a cradle and you’ll have a new air compressor and nail gun by the end of the week! 3.) New car. No time like the present to trade in that junker. Remember, safety first! If your current car is older than 2002 it won’t have the LATCH system for your car seat. I can’t tell you how much easier it is to strap your infant in with LATCH instead of the lap belt. 4.) A legacy watch. No Casio here! A good quality timepiece to pass on through the generations. If you haven’t received one from your grandfather, it could be time to start the tradition! 1.) Toys. Everyone will buy you toys. The problem is, for the first 3 or 4 months your child won’t even realize that he is punching himself in the face. “That was MY hand?? Ooooohhhh…” No motor control means no conscious decision to play with toys. 2.) Baby monitor. Especially in the first few months, as your baby will be sleeping in the room with you. If you live in a condo, you probably won’t need one at all, the walls are pretty thin. 3.) Shoes. HE CAN’T WALK! Baby shoes are ridiculously expensive. Also ridiculously adorable, but that’s not the point. What did I miss? Leave a comment and let me know what other necessities or NECESSITIES *wink* I may have missed!